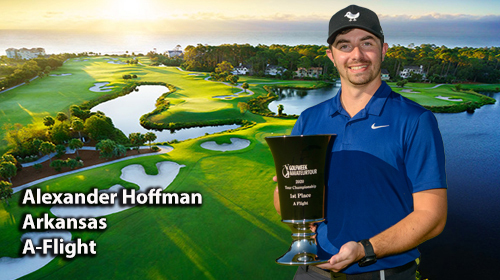 Be A Champion on the Golfweek Amateur Tour! 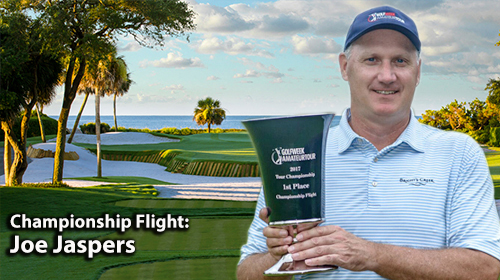 Flight leaders from each local tour will be invited to compete against the top tour members across the country at the 54-hole National Championship in Hilton Head, SC. 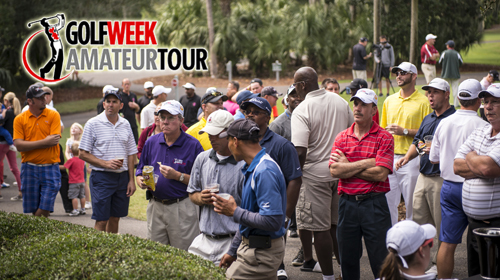 The 2019 Golfweek Amateur Tour Championship will be held Oct. 18-20 with a flighted skins game and Registration party on October 17. Cost $410. To start your subscription, you must fill out the tour application when paying your membership fees. Click here to join the Tour. Please allow 4-6 weeks for your magazine to arrive. 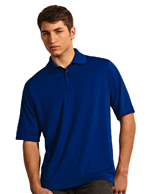 Get your Golfweek Amateur 25th Anniversary Shirt! 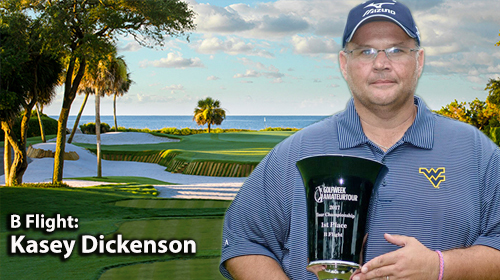 Hilton Head Island, SC – This year’s IceBreaker Regional was played in Palmetto Dunes Plantation (Robert Trent Jones) and SeaPines Resort (Harbour Town Golf Links). 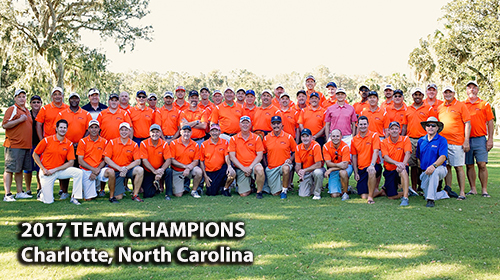 In the over 16 year history of this tournament this was the largest field ever with 128 players from over 25 different tour cities across the country. 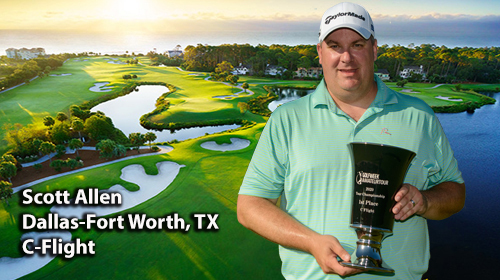 This marks the 25th anniversary of the Golfweek Amateur Tour! 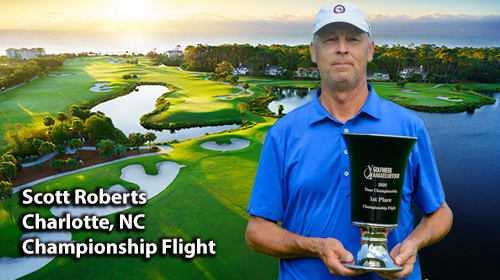 In the Championship Flight, Scott Roberts from the Charlotte Tour led wire to wire for the victory with 70-76-146. 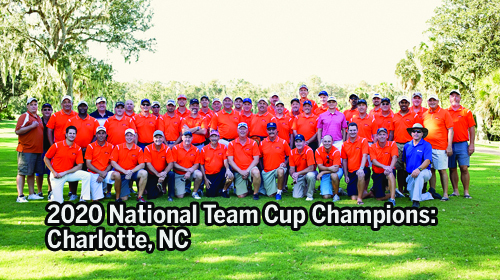 Jay Barnes also from the Charlotte Tour finished in second with a score of 76-76-152. Hilton Head’s own Turner Wegner finished in third with 154 beating out Augusta’s Wayne Mckenney on the card playoff. Tony Bostic from the Washington DC Tour was fifth at 155. 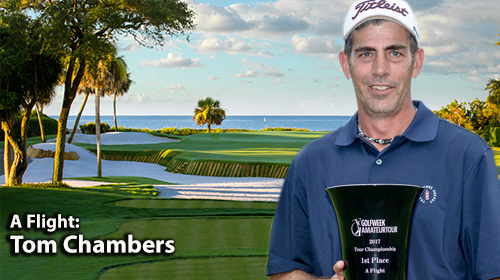 In the A Flight, David Constantino of the Upstate Tour won by just two shots with rounds of 78-84-162. Fred Dixon (Charleston) finished solo second with 80-84-164. Andres Lopez (Hilton Head) and day one leader Tim Rusk (LA South) both tied at 165 with Lopez cashing third in the playoff. 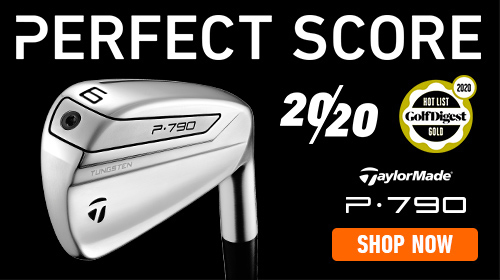 John Costa (Eastern NC), Will Yorgey (Jacksonville) and Jimmy Napier (Augusta) all tied with two day totals of 168. 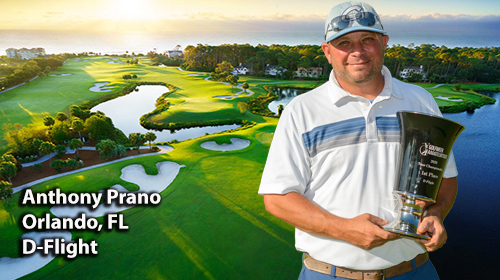 In the B Flight, Brad Bettin (Orlando) won by two shots for the victory at 164. Keith Panco (Birmingham) finished second at 166 followed by Heidi Rittenhouse (Eastern, NC) and Sean Kenneck at 168. Randy Sauerbrei (Jacksonville) rounded out the top five at 169. 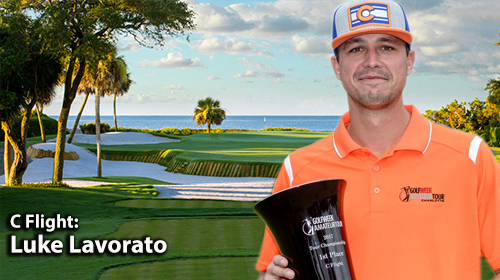 In the C Flight, Mike Carsno from the Charlotte Tour claimed first place with a two day total of 174. Case Mulherin (Hilton Head) was second at 178. Charlotte’s Eric Seibert and TJ Eaves (Eastern NC) tied third at 180. Chris Huge (Charleston) finished fifth at 182. 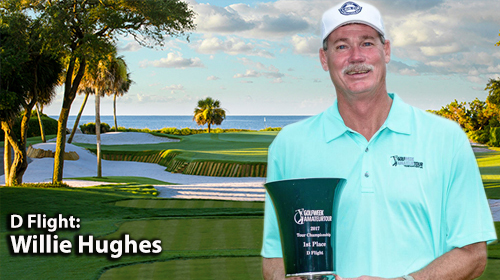 In the D Flight, Aaron Chase (Charleston) wins by three shots with 192. 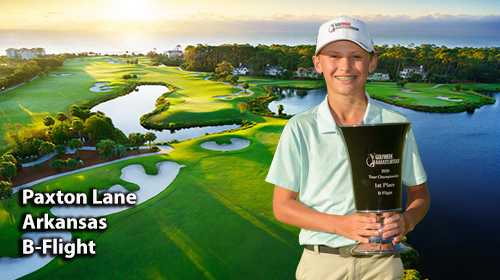 Chase’s win was highlighted by an ace on Saturday at the Trent Jones Course on hole #12. Bernie Packo (Jacksonville) was second at 195 followed by Don Michaux (Central Carolina) and Tom Berry (Jacksonville) both at 197. Hilton Head’s own Tyler Patterson finished solo fifth at 203. 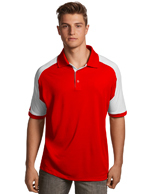 The Golfweek Amateur Tour plays in over 50 areas across the country and host single and two day tournaments. 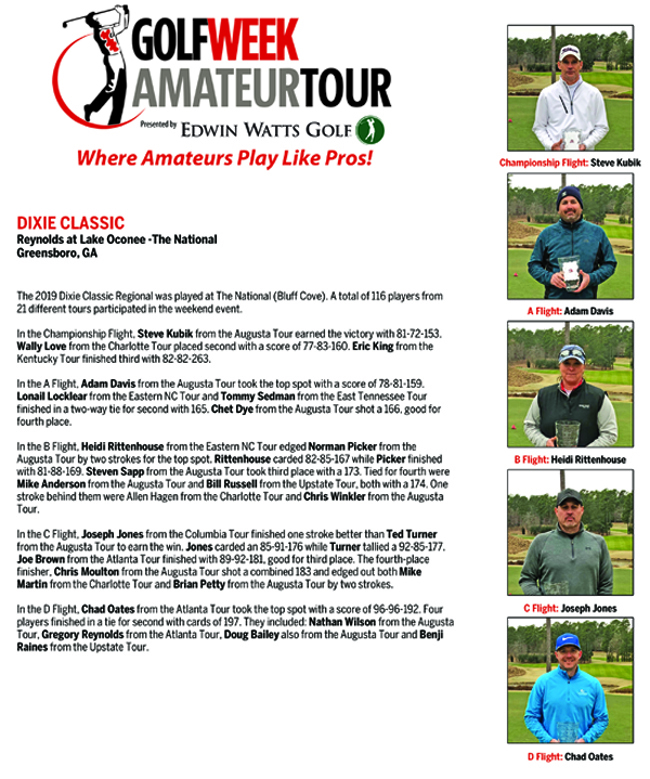 To get your tour card simply go to (www.amateurgolftour.net) to join the Tour and be a part of a great nationwide tour. 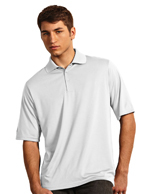 A Senior Tour is also available to join for players 50 years of age and older at (www.senioramateurgolftour.net). Copyright 2010. The Golfweek Amateur Tour. All Rights Reserved.